The Tennessee Wildlife Resources Agency has announced the total number of deer testing positive for chronic wasting disease (CWD) has climbed to 91 in Fayette and Hardeman counties. 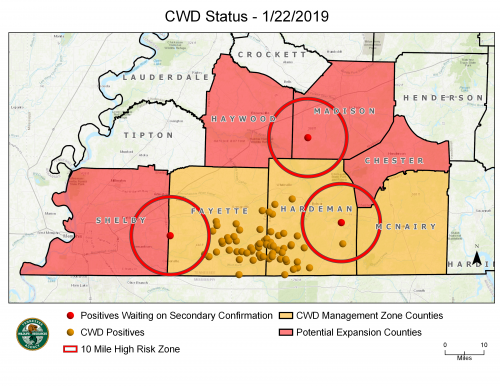 Three additional deer, if confirmed by secondary testing, will expand the CWD Zone to include a total of seven West Tennessee counties. Two of the deer receiving secondary testing are from Hardeman and Fayette counties and if confirmed, would bring Chester and Shelby counties into the CWD Management Zone due to the proximity to those counties. 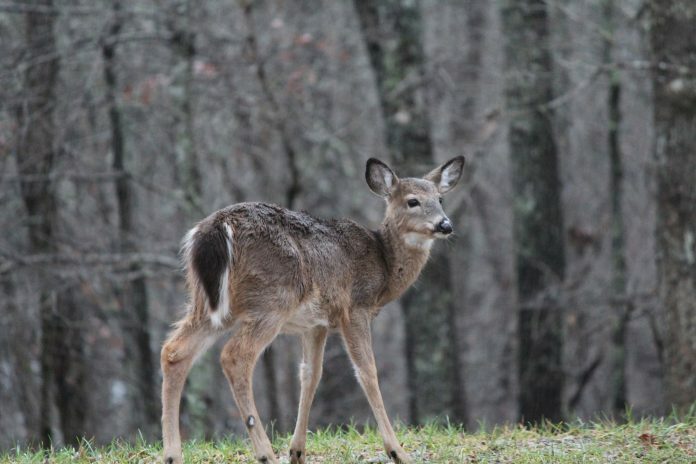 The remaining deer is from Madison County, and if confirmed, the location of that deer would add Madison and Haywood County to the zone. For more information on CWD visit the website here.